Voting in Indonesia's presidential and parliamentary elections got underway on Wednesday, but not without a bolstering of superhuman security at one of the country's polling stations. 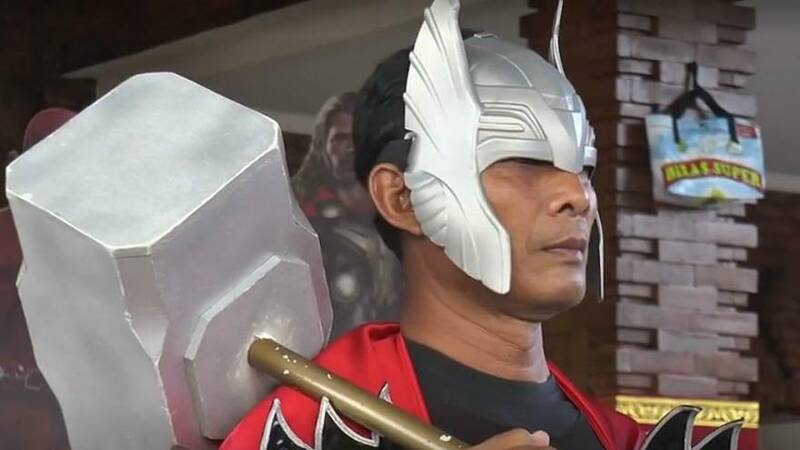 Ballot boxes in Bali were guarded by comic book superheroes Thor and Spiderman as locals arrived to cast their votes. Speaking to Reuters, the man dressed as Thor said he wanted to "motivate and entertain" his fellow voters. "We hope all voters at this polling station feel happy and come to vote," he said. The election in Indonesia is being pitched as the world's biggest election over the course of one day, with more than 192 million people eligible to take part.